The cast of Marvel's Black Panther continues to grow, as we get closer to the early 2017 production start date. Letitia Wright signed on last month as Serita. 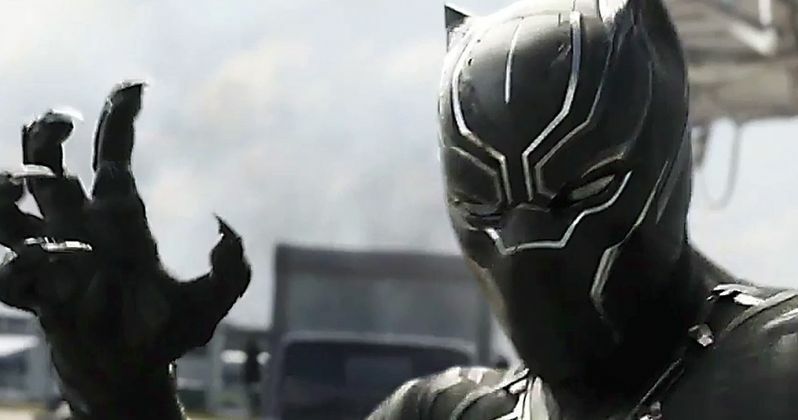 Today, we have a new casting call which finds Marvel seeking actors to play a number of different types of Wakanda characters, including actors of Korean and Filipino descent. There is also another type of character the studio is seeking, which may hint that T'challa is coming back to America. Georgia Casting Calls posted a cast listing last week, with the final listing for "CIA Agent Types with WEAPONS experience." The studio is looking for clean cut men and women of all ethnicities between the ages of 30 and 50 who have real weapons experience, who will be needed at the end of January. This could hint that either T'challa will be returning to America, or that the CIA may raid his homeland of Wakanda, but no specific details were given about what scenes these characters will be needed for. We first met Chadwick Boseman's T'challa in Captain America: Civil War, which featured a post-credit scene where Steve Rogers (Chris Evans) had brought Bucky Barnes (Sebastian Stan) to a secret facility in Wakanda, hiding him from the authorities. It's possible that the CIA may have found out where Bucky was brought to, which is why these CIA agent characters are needed. As for the African characters listed in this casting notice, there are several different types the production is looking for. Marvel is seeking African men and women between the ages of 18 and 90 to "populate our African nation of Wakanda in the movie." Candidates with heritage from any African nation are invited to submit photos wearing "African wardrobe, Afropunk looks, tribal looks, or just in a neutral color tank top and form fitted shorts, capris, leggings, etc." The studio is also seeking African style drummers and extras with experience in Martial Arts/MMA, Boxing, Wrestling, Military/weapons/knife handling, Stick-fighting and Fitness Trained/Athletics. The production is also seeking African boys and girls between the ages of 6 and 17. As for the Korean and Filipino roles, the studio is seeking men and women between the ages of 18 and 80, "ranging from wealthy types to all types for a street /market scene." All of these scenes will be shot in the greater Atlanta area in late January or early February. The cast of Black Panther also includes Michael B. Jordan as Erik Killmonger, Danai Gurira as Okoye, Lupita Nyong'o as Nakia, Winston Duke as M'Baku, Forest Whitaker as Zuri, Daniel Kaluuya as W'Kabi and Florence Kasumba as Ayo. Ryan Coogler is directing Black Panther from a script he co-wrote with Joe Robert Cole.